I was in a game store, looking at the wall of new releases, and while scanning I came across an ugly-looking cover of some weird face screaming. Deadly Premonition, it said, and seeing that it only had a $20 price tag, I couldn't resist picking it up to look at it. But one look at the back of the box and I instantly became suspicious of its quality. I mean, those graphics... what year was it again? It seemed obvious to me that this box was attempting to over-assert the game's graphic, mature horror, and the price tag was a last-ditch effort by some publisher who left this game on top of the closet during Spring cleaning and now was trying to make a little back off of its investment. Needless to say, Deadly Premonition seemed like a gag, and I left it to the shelf. Writing all that with hindsight is hard, because little did I realize how special that game really was. I was willing to let first impressions cloud and rule my judgement, even at a time in my life when I really should have already been passed that. 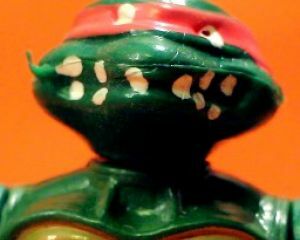 But a trip to Destructoid helped me put things in perspective, and now I can say I have played Deadly Premontion, twice. When Deadly Premonition came out in 2010, I was just starting to get into Destructoid. I appreciated the site for its honesty and frankness in delivering opinions on gaming culture, and I appreciated the persona and demeanor of the community. Getting on one day, I was surprised to see a big banner depicting the review of Deadly Premontion, confused as to how this game had gained any kind of attention. I figured that the reason this review was front page material was due to it being really as bad as I thought, so I opened the page to get myself ready for a good dose of schadenfreude. Even though it can be a nasty habit, I scrolled to the bottom of the page just to see what the score was before I read the review. And then, staring at me in the face, was a "10/10." I took a hard look at my computer screen. The words "Flawless Victory" danced beside the numbers, mocking my preconceived notions on how Deadly Premonition would fair. I immediately went back up and started to read through the review, determined to understand how something that looked so low-budget could be a superior gaming experience. This review persists to be one of the most notorious of the site, but one cannot deny Sterling's passion for the experience that he felt for the game. And his case for it ultimately made sense to me - I watched films all the time that were "bad" but still entertaining. Why couldn't games do the same things? 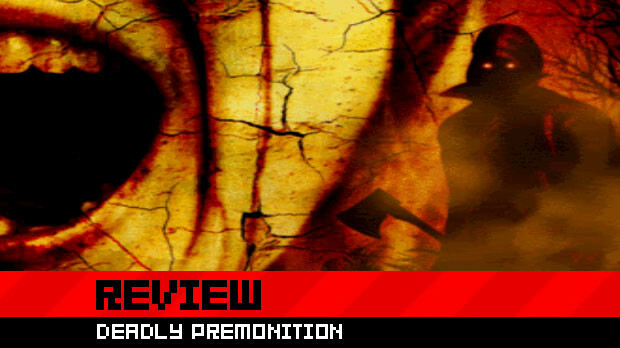 So, taking the review to heart, I went and purchased Deadly Premonition just to find out for myself what I thought about it, and I didn't regret it a single moment. I blasted zombie-ghouls limbo-ing towards me! I outran an axe-wielding maniac with glowing eyes! I solved a series of grizzly murders based around a seed! I filled my gas tank! 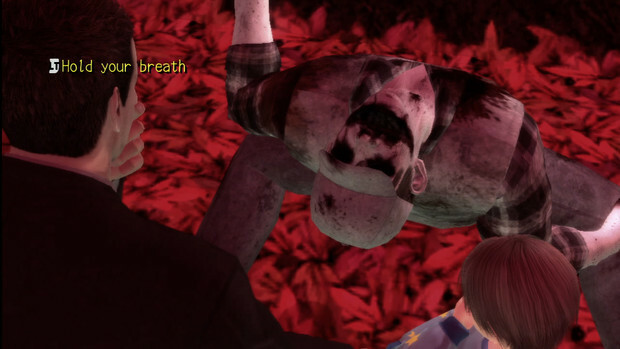 Deadly Premonition offered me such a bizarre experience that I too was swept up by it. I thought back to the day where I had first looked at its box, shaking my head that this was a game that I had almost passed up on just because of its budget veneer. The proverbial "egg" was on my face, and I felt foolish for passing such a rash judgement on something that, while terribly flawed, was all the more compelling for its flaws. This moment for me really can be described as your typical "Looks Can Be Deceiving" lesson, which I had learned before (and obviously needed to learn again), but this really changed my relationship with Destructoid. It made me realize the true potential that games can have, not only in what they can be, but what you can experience through them. 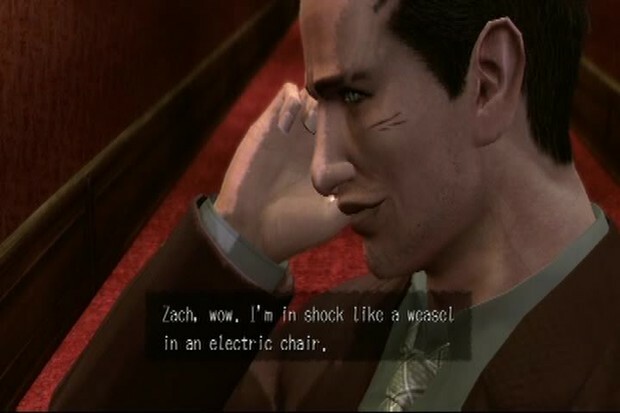 That's what's so surprising about Deadly Premonition as a gaming experience; to think that something so self-aware and absurd could present a character-arch that is emotionally gripping, bittersweet, and rewarding all at the same time. Regardless of aesthetics, the game finds a way to make you feel something. I will always remember Destructoid for helping me get to that clarity. 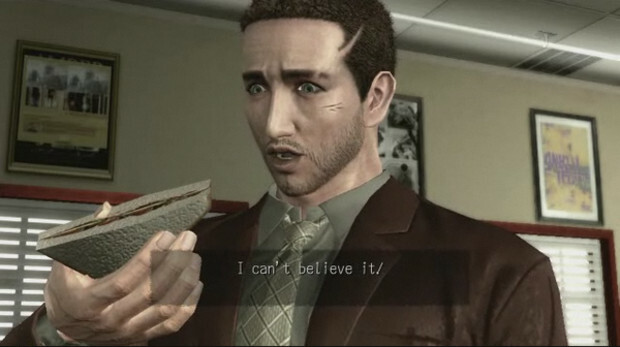 Giving Deadly Premonition a 10 indirectly opened up an avenue of gaming experiences that I would have never experienced in the first place, had I continuously turned a blind eye to them just for being aesthetically unpleasing and creating false impressions of what a game can be. 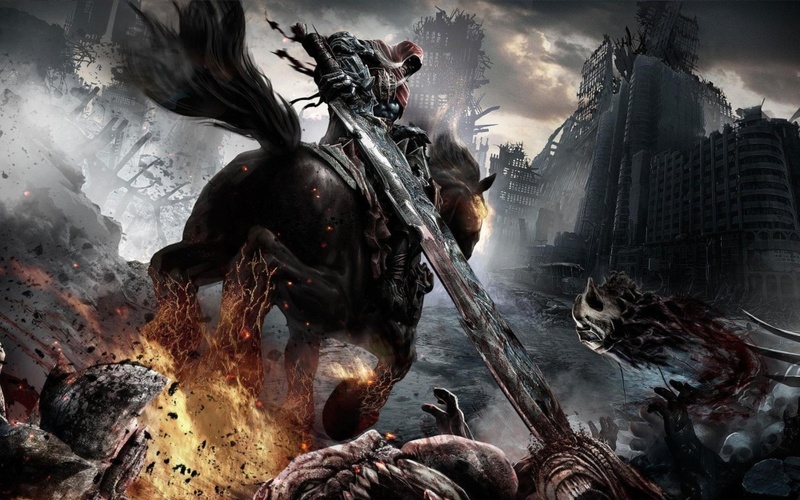 Sometimes I'm rewarded for my branching out (Jurassic the Hunted, Two Worlds II), and sometimes I'm punished (Arcania: Gothic 4, Alone in the Dark 2008), but regardless, I still know that I give any game a chance to surprise me. So Happy Birthday, Destructoid! Many others and I wish you many more! Married, working, gaming in Kentucky. I heart you, reader.